Gurukul Kangri Vishwavidhyalay, Haridwar has released an advertisement for the recruitment of teaching & non-teaching post in various department. This recruitment is for Haridwar & Dehradun districts. Interested candidates may apply on before 25 July 2016. Professor 11 Philosophy, Mathematics, Zoology, Environmental Science, Psychology, Veda, Hindi, Sanskrit, Computer Science, Human Consciousness & Yogic Science, Shraddhanand Vedic Sodh Sansthan Candidates must have done Post Graduation / MA / PhD / NET / SET from a recognized university and candidate having Specialization in related department shall be given preference. 1.The post of Registrar shall be filled by deputation or on Contract for a tenure upto 5 years or till attaining the age of 62 years whichever is earlier (Can be renewed for similar terms). 2. The post of Finance Officer shall be filled preferably on deputation basis from CAG, failing which on the basis of direct recruitment. 3. Selection to above Group C posts (Stenographer, Library Attendant and Semi Professional Assistant and MTS only) shall be on the basis of merit in the written test/skill/trade test or any combination of tests conducted by the Vishwavidyalaya. Associate Professor 01 Ancient Indian History Cult. & Arch. Coach 01 Note : Selection to above Group B (Non-Gazetted) and Group C posts (Coach, Semi Professional Assistant and Lower Division Clerk only) shall be on the basis of merit in the written test/skill/trade test or any combination of tests conducted by the Vishwavidyalaya. The candidates are required to send their duly filled application in the prescribed format which must reach by Speed Post/ Registered Post to the Registrar, Gurukula Kangri Vishwavidyalaya, Haridwar-249404 (Uttarakhand) on payment of Rs. 550/- (Rs. 150/- for SC/ST/PWD) in cash or through demand draft in favour of Registrar, Gurukula Kangri Vishwavidyalaya, payable at Haridwar. Application form can be download from the official website www.gkv.ac.in. 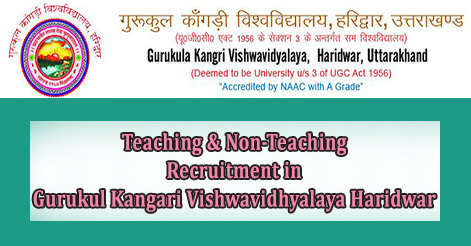 Help us to improve this article/job posting "Teaching & Non-Teaching Recruitment in Gurukul Kangri Vishwavidhyalaya Haridwar". We would be glad if you can comment below and provide your valuable suggestions and feedback. If this page have any wrong information/list or out of context content, then you can report us as well. can i apply for professor post? I have done my masters in mass masscommunication.And looking for a job of P.R officer.So is their any experience your organization is asking for this post or freshers are also eligible. My query is regarding the teaching post for computer science. 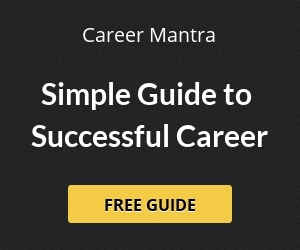 I m MCA graduate and approx.3 year industry experience. Am I eligible to apply? I dont have any doctorate degree. I complete my MBA HR can l apply for this job. is the date for form submission extended?? Sir i have done my gradution from delhi university can i apply for this job.